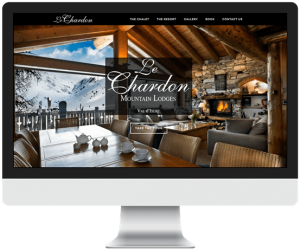 Attract more bookings with a fully managed mobile and SEO optimised ski rental website design that won’t cost the earth. We’re proud to be different and owners love us for it. Here’s why..
Sleek and professional, mobile-friendly with search engine optimisation. What do we mean by Fully Managed? Have you ever needed to make a change or update your ski website, but either needed help, or just didn’t have the time? Don’t stress! Sit back, drop us an email and we will do it all for you. Unlimited updates and changes are just part of the service. Sometimes things just don’t work out, and that’s OK. If for any reason you aren’t crazy about our service, we offer a 30 day full refund. Head over to Chalet Engine to find out more, get in touch or take our demo website for a test drive and get the best possible solution for your ski rental chalet or apartment.